Sunday, May 2, 2010, will long remain in the memory of many parishioners as they attended mass for the last time in the Très-Saint-Rédempteur church. 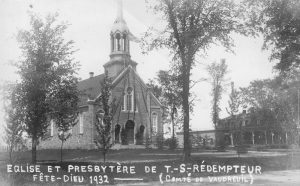 Indeed, many months prior, the Valleyfield diocese had announced its intention to abolish the parish, close the church, and sell it. In the following days, the parishioners watched, angry and helpless, as movers removed all the objects and furnishings from inside their church. A great deal of these familiar objects had been donated to the church by the founding parish families. 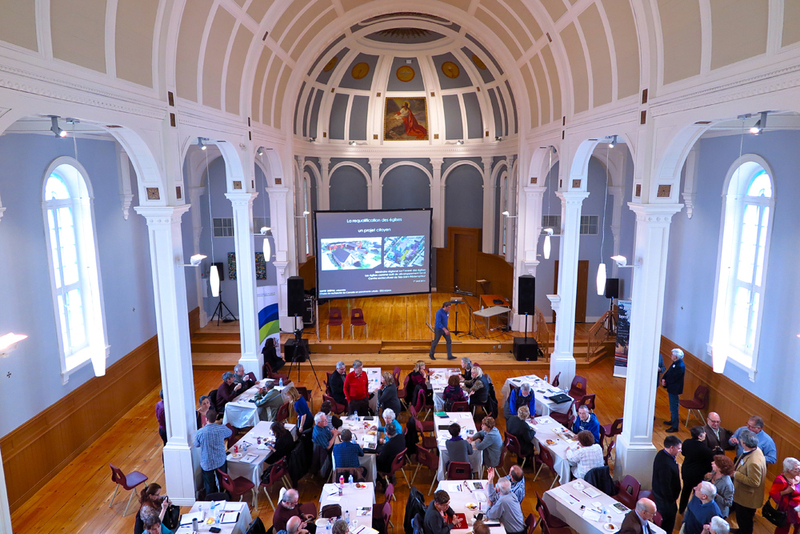 The church building, reduced to secular use, stands as an empty shell, having lost its original vocation. What can be done with the building at present? Its religious life is over, but the memory and deep collective attachment remain very much alive, as well as the building’s heritage and historical value. 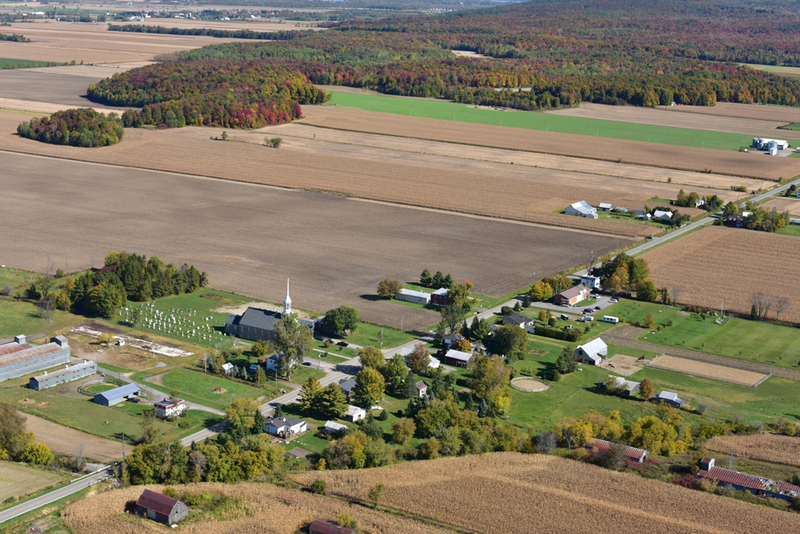 Situated at the heart of the municipality, the church has always been a marker of identity in the landscape, a gathering place for cultural, social, and community activities. After months of negotiations between the small rural municipality and the diocese, the municipal council decided to purchase the church in August of 2011, with plans to convert it into a sociocultural center for the population’s benefit. This event considerably shook the local and regional population who were confronted with the arrival of a new phenomenon: the up-coming closure of many churches. The closure of the church and the decision to purchase it divided the population for many months. It was far from unanimous. But in the end, the church was preserved and now we must maintain it. 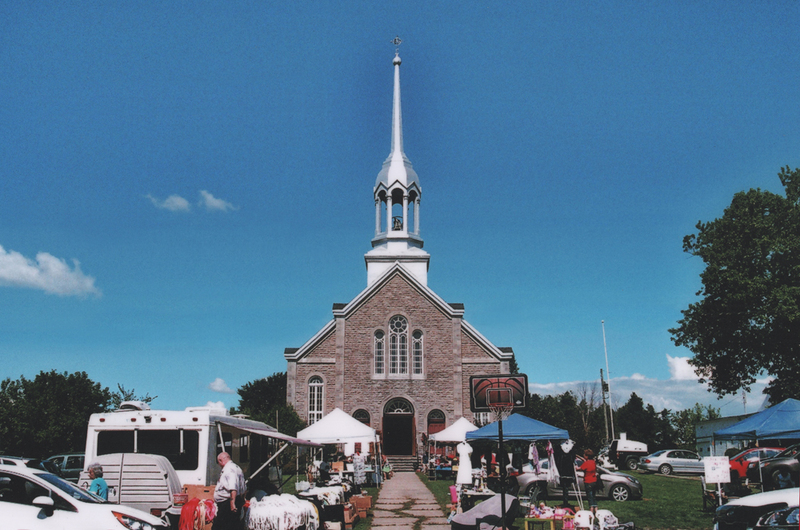 The churches of Vaudreuil-Soulanges and the territory’s developmentChurches for sale!